As many of you know, I am in the beginning stages of actually testing reading habits on eReader plaforms. I will be testing comprehension and speed of reading. However, I recently came across a blog post at the LA Times in which they reveal that people who use eReaders read more (a lot more) than people who do not own such devices. Granted, this research is not the greatest research (it could be assumed that people who read a lot are more likely to purchase such a devise, it is nice to see some research emerging. 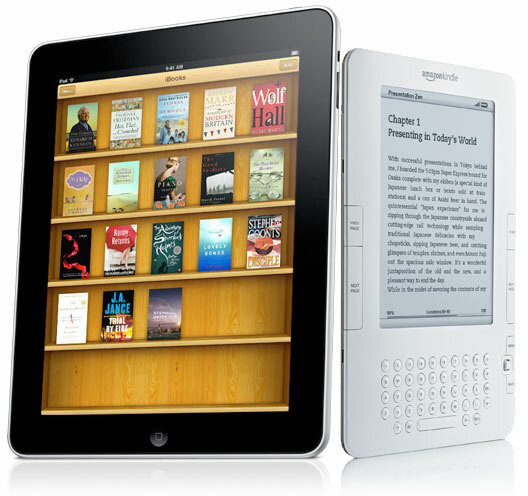 Those who own dedicated reading devices such as the Kindle spend 50% more time reading newspapers and 45% more time reading books, according to the poll. Where does all that time come from? People evidently are watching 25% less television and spending 20% to 30% less time cruising the Web, according to the online survey of 1,816 U.S. consumers. This is great news! Libraries will need to engage in conversations so that they are ready for this new format; for this new style of reading.